Are you feeling abundantly dosed in Christmas yet? I swear everywhere I turn there is a red and green Christmas tree covered in glitter. And trust me, I’m a HUGE fan of glitter, but I am a little bored with the red and green. I know, I know, they are the “traditional” Christmas colors. But answer me honestly; have you really NEVER gotten just the tiniest drop of annoyance seeing red and green everywhere? Something tells me you likely had at one point or another. Today I wanted to share with you some inspiration for those of you potentially hosting your own dinner party this holiday season. 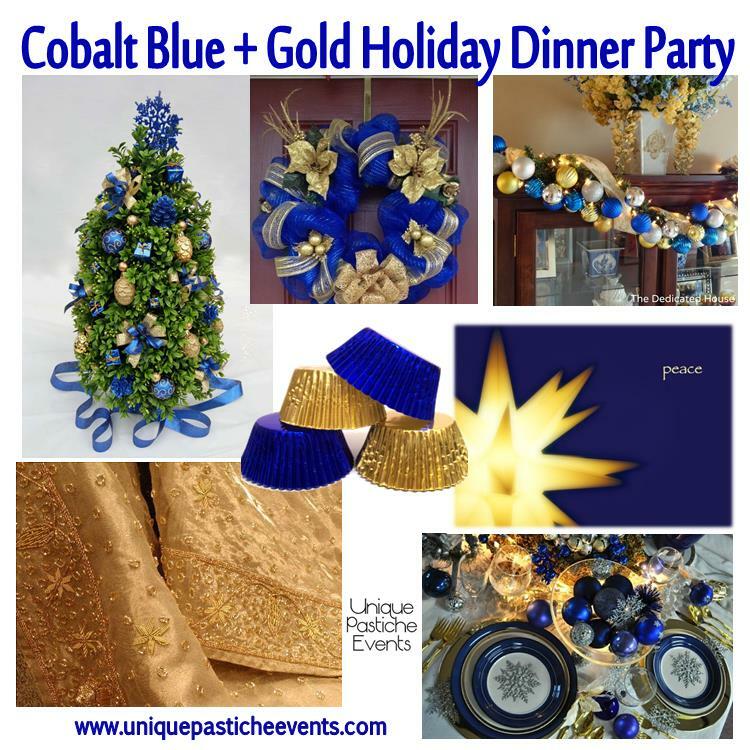 Why not consider a nice cobalt blue and bright yellow gold? They mix up the traditional holiday décor so well, and transition beautifully into New Year’s celebrations. What is your favorite color combination for decorating during the holidays?